The staff at Siun Sote Palliative Care Center in Finland. 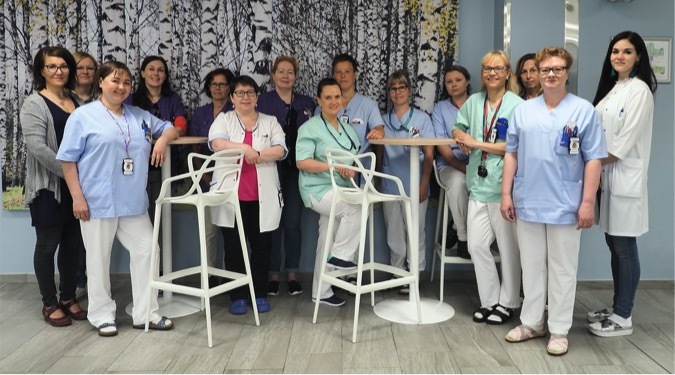 Palliative care services are at their best when tailored to the people and the communities they serve, and this is evident in every aspect of the care provided by the newly-established Siun Sote Palliative Care Center in Finland. The center is a tax-funded organization that delivers both inpatient and outpatient palliative care and end-of-life care, including specialist services. Thank-you card from a young patient. 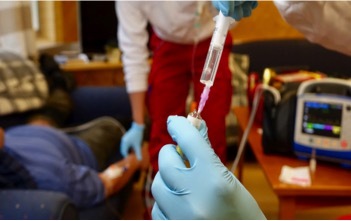 Subcutaneus infusions via patient-controlled analgesia (PCA) pumps are widely used in both in- and outpatient settings. Safe and easy to program, the pumps have replaced traditional subcutaneous syringe drivers in Finland. Palliative physicians on site perform the most common palliative procedures (peritoneal and pleural fluid drainage, PleurX- drainage catheter insertions, etc.) using an ultrasound probe that connects to any electronic device. For patients too ill to travel, some procedures (i.e., ascites drainage) have been done at home. A sauna is part of the inpatient unit. In Finland saunas are a necessity, a place for physical and mental relaxation. One doctor is attending an acupuncture course to learn supportive methods to relieve symptoms, such as nausea and pain. Most Finnish palliative care patients wish to stay at home as long as possible; many wish to die at home. Geographically, the rural North Karelia region that Siun Sote serves is challenging. Distances can be long and stressful for the often symptomatic patient. Paramedics are a key component of services necessary for the region Siun Sote serves. works in close cooperation with the local teaching hospital, urban and rural health care centers, paramedics, and residential care services. 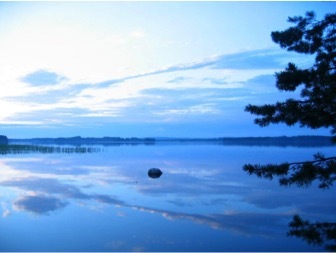 Lake Pielinen in North Karelia, where Siun Sote Palliative Care Center is located. EduPal is a country-wide initiative to study palliative nursing and medicine education, establish competencies, foster multidisciplinary links, and create a national recommendation to include basic palliative care in undergraduate nursing and medical programs, as well as a specialist program. The aim is to achieve a national, multidisciplinary network of palliative care experts, educators, and researchers. Thanks to a previous project, PALETTI, trained paramedics offer an extra layer of 24/7 support to local district nurses and other carers. Dr. Leena Surakka, chief physician at Siun Sote Palliative Care Center and the inventor of the PALETTI protocols, is preparing her PhD thesis on the experiences and costs of the emergency care and end-of-life care given at home by paramedics.